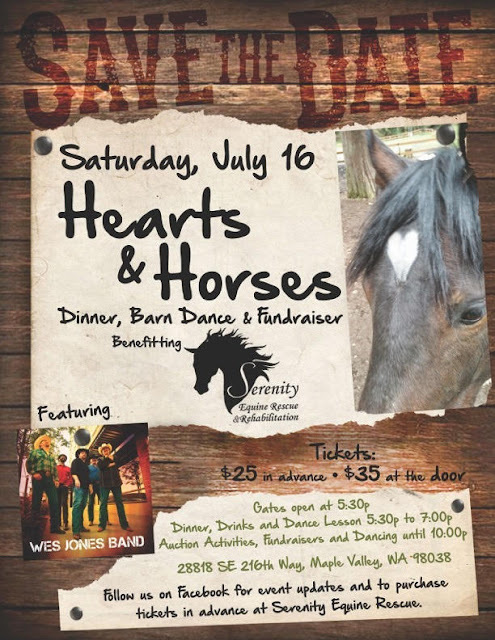 Please join us on and our fabulous Jersey Girls, 95.7 The Jet's Jodi Brothers Blau, and KCPQ13's Jamie Tompkins for annual fundraiser Hearts and Horses Dinner and Dance featuring the Wes Jones Band on July 16th in the Arena! Jamie and Jodi are both past winners of our Compassion Award and HUGE part of our Serenity Family. County Council member Reagan Dunn will be honored this year with our Compassion Award for his on-going work in our community and support of Serenity. Tickets are on sale Now! Serenity Equine Rescue and Rehabilitation is currently involved in an on-going hoarding and neglect situation, including more than fifty horses and minis. Little D was in such bad shape, he traveled immediately back to Serenity in the back of Patricia's trusty Subaru. Reina’s fate was almost sealed. 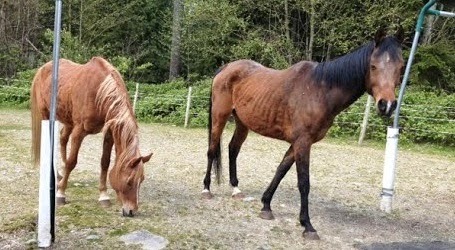 Taken to an auction in Oregon, she would have ended up slaughtered had it not been for the quick actions of her saviors. 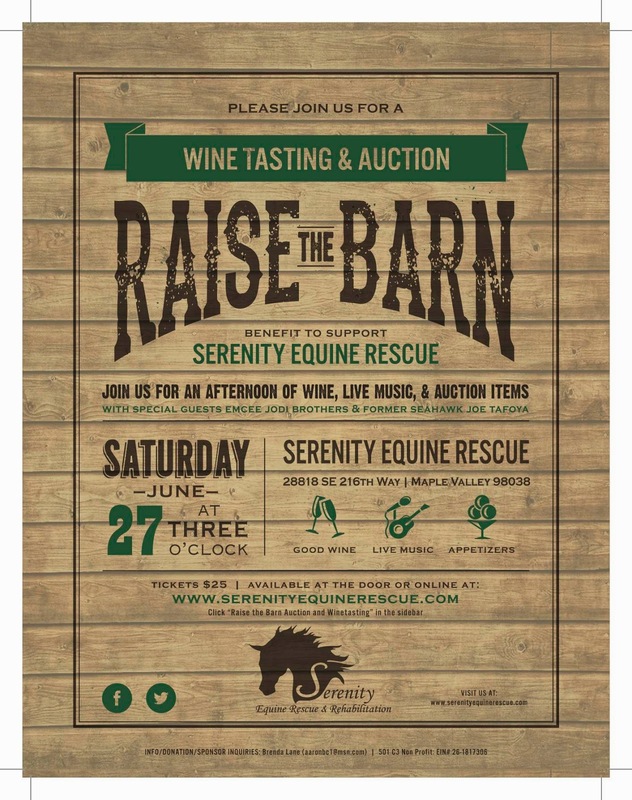 A friend of Serenity’s recognized her and called Patricia who contacted the owner and "reminded " her that our horses could not be sold or rehomed. Reina went through the auction and was purchased by a kill buyer. Fortunately, we were able to intervene and Reina was returned to Serenity. Were it not for a few people doing the right thing, this beautiful girl would be dead. Horses adopted from Serenity are required to be returned to Serenity if the owners are no longer able to care for them. 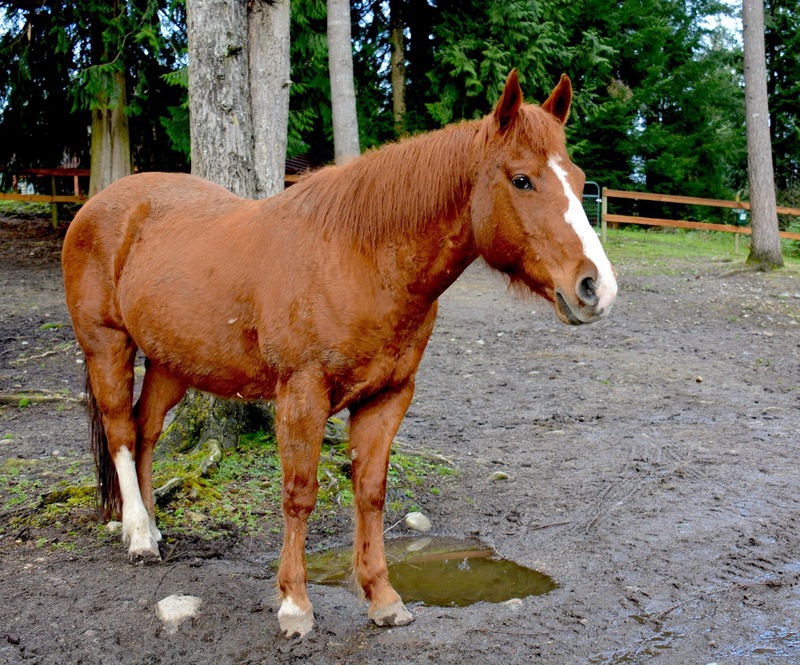 Unfortunately, people don’t always do what’s in a horse’s best interest, and wonderful horses are lost forever. 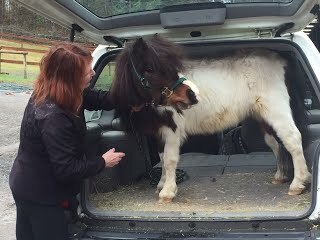 Auctions are never a guarantee that a horse, even one who is sound and sweet-tempered, will find a good home. Too many of these animals end up sold for a few hundred dollars and killed, often enduring cruel, inhumane treatment for their final days. 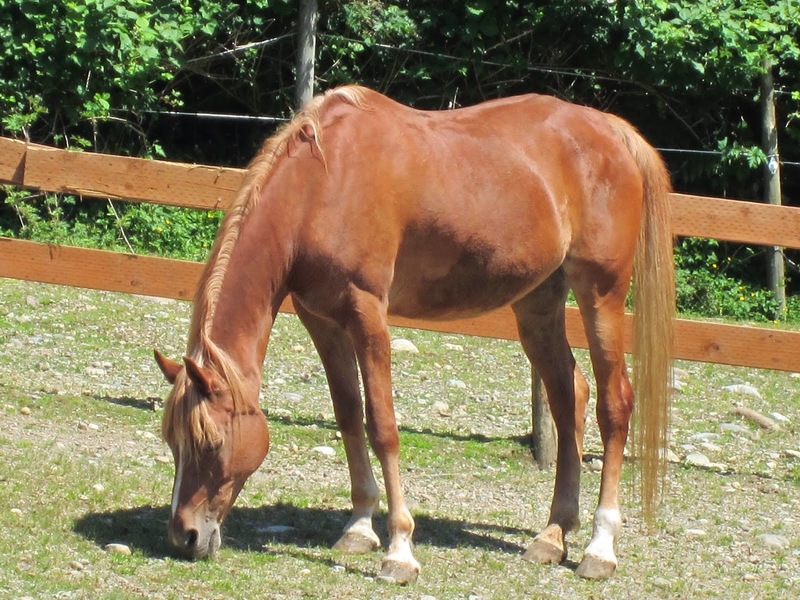 Reina, however, is alive and well and thriving at Serenity, and is ready for her forever home. 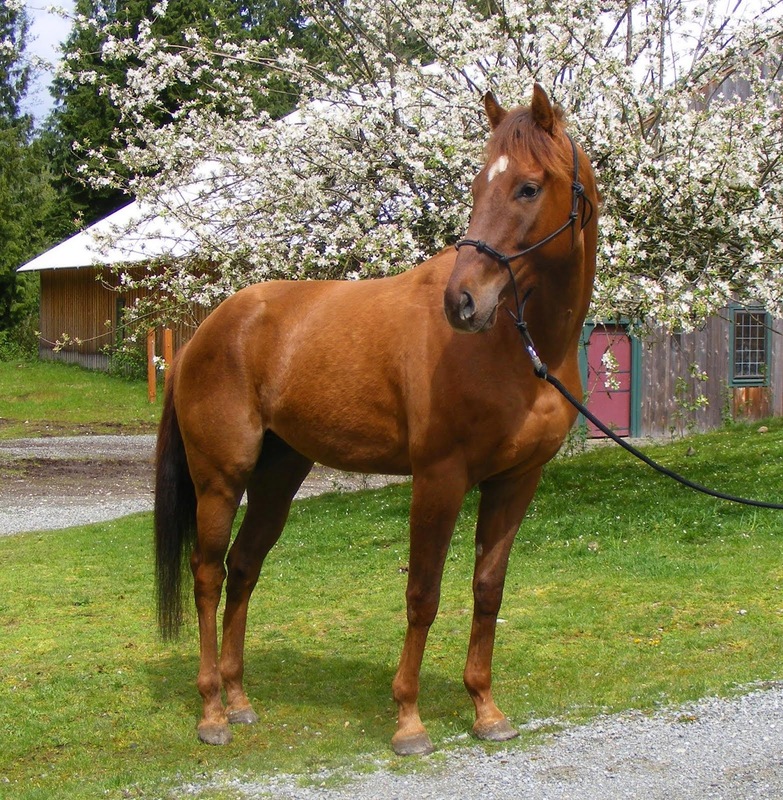 A sweet, 13-year-old Quarter horse, Reina has training and experience guaranteed to make her a perfect partner for a capable rider. 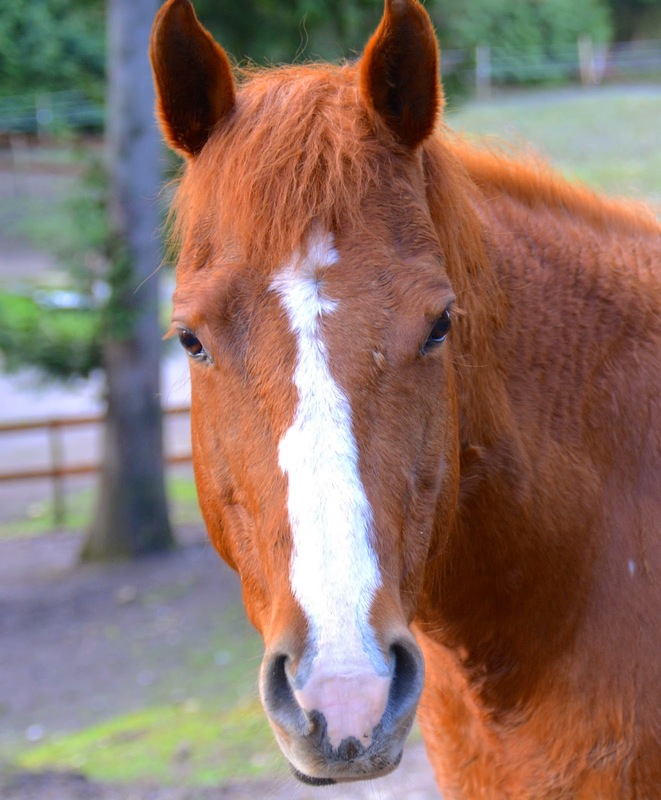 She would be great on trails or in the ring and can be ridden either English or Western. 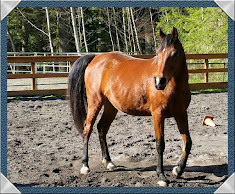 For more information about adopting Reina, please visit our website at http://www.serenityequinerescue.com/adopt. Click here to visit our website and make a donation. 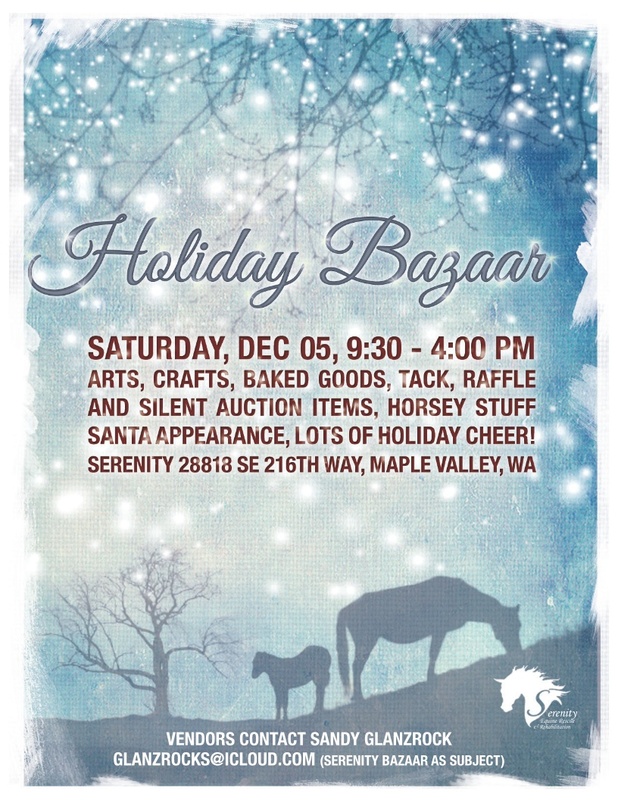 Serenity is a 501( c) and all donations are fully tax-deductible. 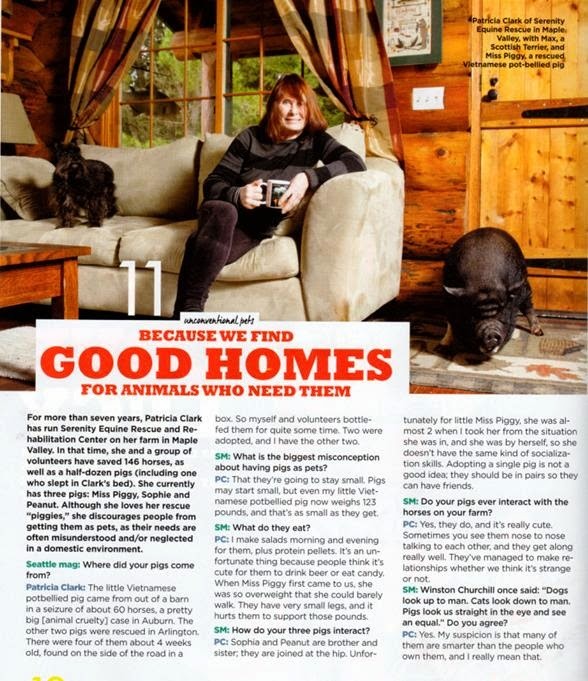 Serenity was featured in Equine Wellness Magazine in September. 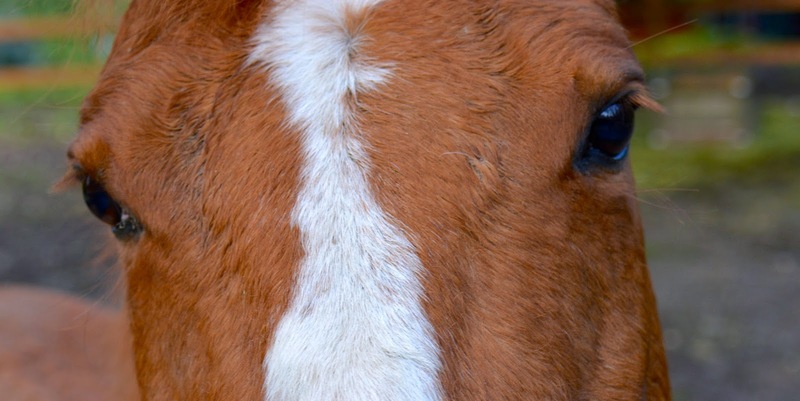 Equine Wellness magazine is full of informative articles on the latest health issues and remedies. 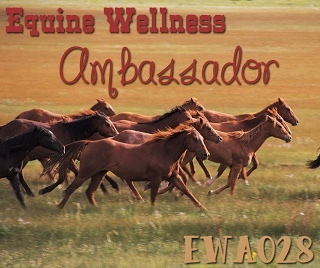 We subscribe to Equine Wellness and read it cover to cover each month. It is a must read for every horse owner! 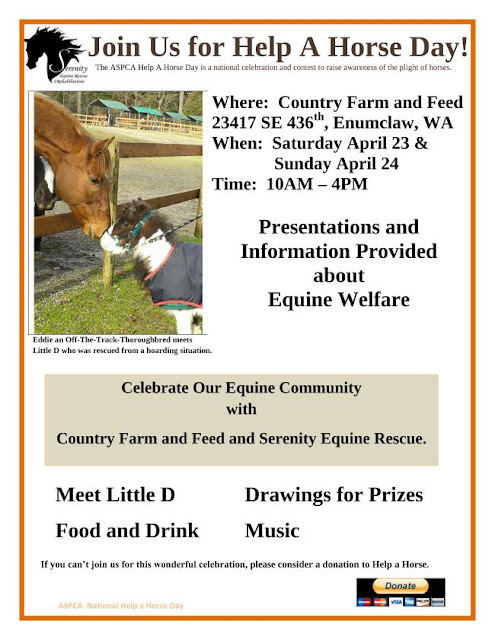 We encourage people to visit and see our horses, or attend an orientation to volunteer. Please be aware the facility is a private facility with specific visiting hours. Volunteer orientations are primarily Saturday mornings at 10:00am. For more information, please visit our website.